With 5.0 star reviews on Yelp, trip Advisor & Google, our reputation speaks for itself. Trust that you found a Captain that puts his reputation on the line daily to exceed customer expectations. We are a family owned business. when you book with us you will feel our passion for putting customers on fish as well as our love for this fishery. When you book with us, you are fishing with us. we do not use a booking service to fill out our calendar. We heavily rely on our repeat customers. You will be speaking directly with us when booking. We provide everything. All the bait, tackle, rods and gear are all provided by us. You will be on our top of the line boats, with the best in electronics, giving you the best chance to catch trophy fish. You only need to bring food and drinks. Captain's Peter & Paul are FULL TIME guides. 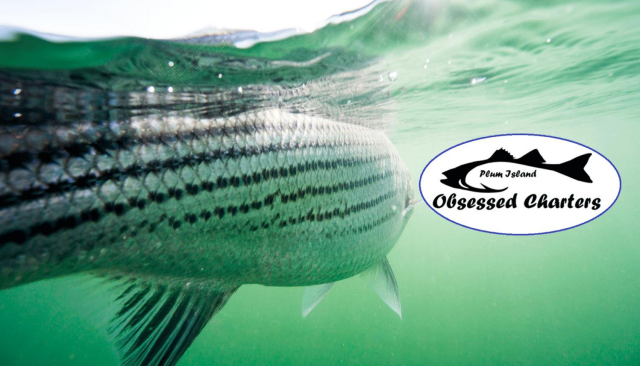 We do not have the distractions of a day job and our passion is putting people on fish and an all around good time on the water ! We have been on the water all week with customers and know where the fish are biting. This allows us to put you on the fish sooner. Time is money. Spend less time looking and more time catching! Our boats are docked minutes from the fishing grounds. No time wasted on long rides to start fishing ! We invite all ages and experience levels. we do not get mad or turn into captain Ahab at the first lost fish or broken tackle. we have heard horror stories about other guides around here.We are very easy-going, have children of our own, and look forward to fishing with you and your family , giving you the experience of a lifetime.